The LCK will face off against the LPL in the finals. LCK champions KINGZONE DragonX took down Flash Wolves 3-1 today to secure a spot in the 2018 Mid-Season Invitational finals. After beating KINGZONE twice in the group stage, Flash Wolves hoped to repeat their success and advance to the MSI finals against Royal Never Give Up. Flash Wolves knew to be weary, however, due to the habit of LCK teams playing well in best-of-five series. KINGZONE’s players have individually underperformed on the international stage in past years when it comes to best-of-five matches, however. So many fans were wondering how this team would do with a spot in the finals on the line. Sloppy plays and fights were abundant in today’s series. Flash Wolves won the second game off of a lucky fight in the bot lane that they used to press an advantage. KINGZONE, however, proved to be the dominant force throughout the day by taking control of the matchup and securing the overall victory. 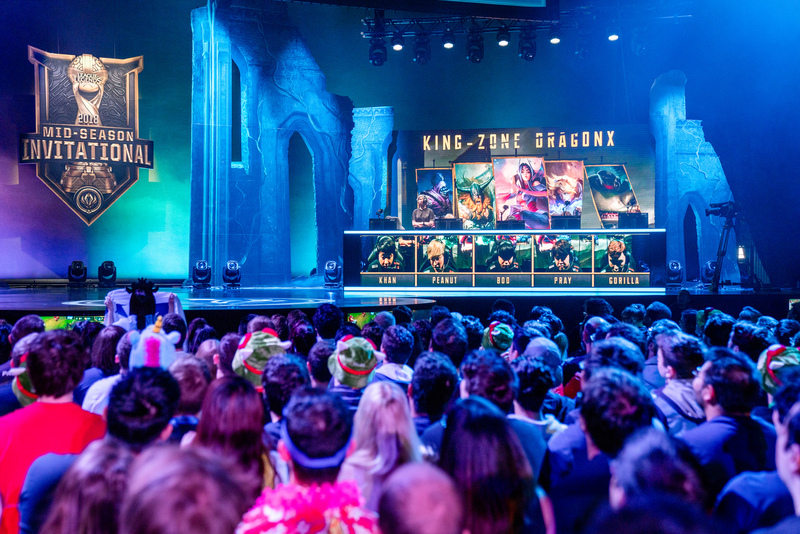 KINGZONE’s stellar team performance gave them the win today, with top laner Kim “Khan” Dong-ha in particular stepping up after a lackluster group stage to lead his squad to crucial teamfight victories and objective control. But Flash Wolves put up a great fight and refused to give in, even when situations were most dire. Flash Wolves were constantly looking to find plays even when they were behind, but their lack of gold and items cost them the crucial damage that they needed in the later stages of the games. With this victory, KINGZONE will head into tomorrow’s finals to face off against RNG, who beat Fnatic 3-0 in yesterday’s semifinal.